Professor Lap-Chee Tsui is the Founding President of the Academy of Sciences of Hong Kong, President of the Victor and William Fung Foundation, Director of Qiushi Academy for Advanced Studies and Master of the Residential College of International Campus, Zhejiang University. He is also the University of Toronto’s Emeritus University Professor. He received his Bachelor and Master degrees from the Chinese University of Hong Kong and his PhD from University of Pittsburgh. He is world renowned for his research work in human genetics and genomics, including the identification of the gene for Cystic Fibrosis, which is an important piece of work in defining the basic defect of the disorder and in human genetic disease research as a whole. His other contributions include the cloning and characterization of mammalian crystallin genes and a comprehensive mapping and characterization of human chromosome 7. Professor Tsui has over 300 peer-reviewed scientific publications and 65 invited book chapters. 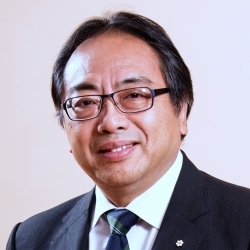 He is the recipient of many national/international prizes, and is a Fellow of Royal Society of Canada, Royal Society of London and Academia Sinica. He is a Associate Member of the National Academy of Sciences USA, a Foreign Member of Chinese Academy of Sciences, and is a Canadian Medical Hall of Fame Laureate. His other awards include 15 honorary doctoral degrees, the Orders of Canada and Ontario, and the Grand Bauhinia Medal and Gold Bauhinia Star, and Justice of the Peace from Hong Kong. I am very much humbled by all the great scientists before us. Although our initial mapping of the CF gene to chromosome 7, followed by the gene identification work, was the first step in defining the basic defect of CF, difficult as it was, I am happy that the award also recognizes those people who have spent their lives improving the health of patients with this devastating disease, studying its pathophysiology and devising effective treatments. I would be remiss if I did not mention also the contributions of Jack Riordan, Johanna Rommens and Batsheva Kerem and the rest of my Toronto team in the CF gene cloning effort.